The culture of gifts in corporate sector is a common phenomenon. These gifts signify bond of partnership and trust. 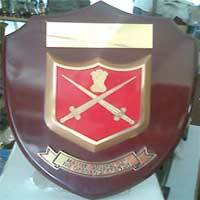 We are one of the most reputed Professional Gifts Manufacturers in the country. Our range of Corporative Gifts includes Mementoes, Shields, Trophies, Badges, Scarves, Ties, Cufflink Set, Tie Pin, Desktop Clocks, Key Rings, and many more. Today, we have carved a niche for ourselves as one of the most eminent Promotional Key Rings Exporters in the country. With efficient manufacturing capabilities, we are able to provide customized designs of Corporate Gifts as per the specifications desired by the clients. We are in the business of Wholesale Sports Shields. Our Metal Shields are exclusively designed for the winners. They are high on demand in MNCs. Our Shields are stylish trendy, which you will love to keep forever. 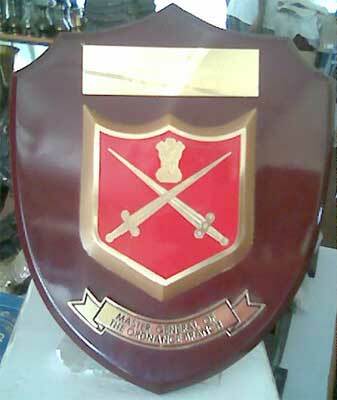 Today, we are recognized as one of the most prominent Promotional Shields Exporters, based in India. We have established ourselves among the prominent Promotional Cufflink Set Manufacturers, based in India. Our Cufflink Set is designed to embellish your garments and add a pinch of glamour in your personality. Simple yet stylish, our Antique Cufflink Set is high on demand in domestic as well as overseas market. We are widely acknowledged as one of the most reputed Exclusive Tie Pin Suppliers, based in India. Our wide range of Designer Tie Pin is extremely beautiful and long lasting. Our Tie Pin is developed to enhance the charm of your formal attire. Our Corporate Tie Pin is high on demand among office goers.